A university ER diagram can help you to organize and visualize crucial information on departments, instructors, students and courses stored in a database. You can map out the relationships and attributes of each entity. 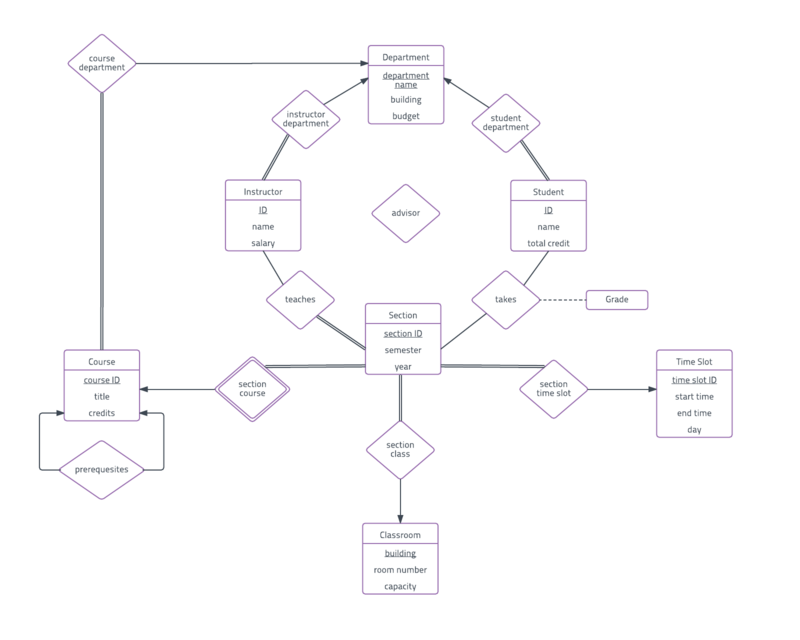 Use this university ER diagram for your own needs by signing up for a free Lucidchart account. Customize the shapes, lines, text, themes and more.